From New York Times bestselling author Sharyn McCrumb comes this finely wrought novel set in nineteenth-century West Virginia, based on the true story of one of the strangest murder trials in American history—the case of the Greenbrier Ghost. Lakin, West Virginia, 1930—Following a suicide attempt and consigned to a segregated insane asylum, attorney James P.D. Gardner finds himself under the care of Dr. James Boozer. Eager to try the new talking cure for insanity, Boozer encourages his elderly patient to reminisce about his experiences as the first black attorney to practice law in nineteenth-century West Virginia. In his forty-year career, Gardner’s most memorable case was the one in which he helped to defend a white man on trial for the murder of his young bride—a case that the prosecution based on the testimony of a ghost. 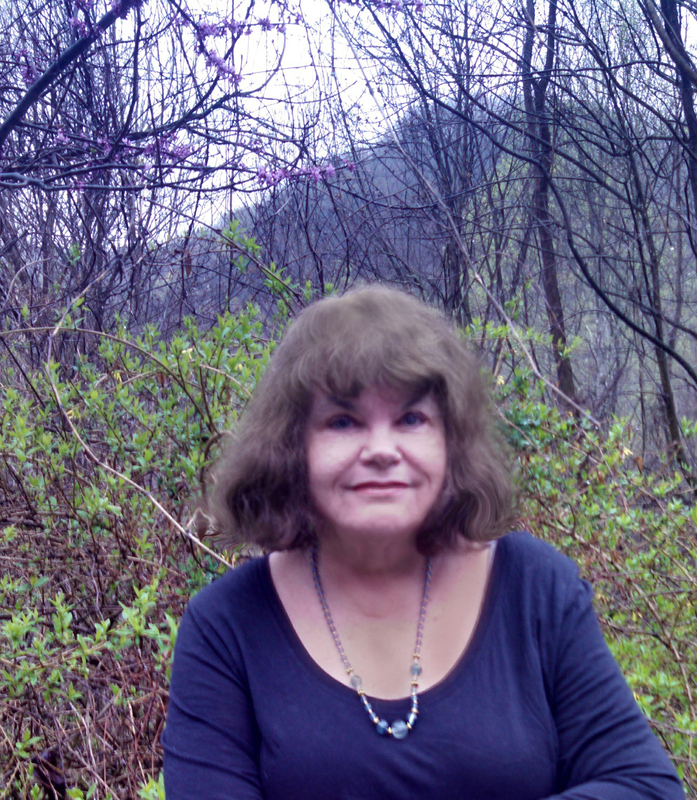 Greenbrier, West Virginia, 1897—Beautiful, willful Zona Heaster has always lived in the mountains of West Virginia. Despite her mother’s misgivings, Zona marries Erasmus Trout Shue, the handsome blacksmith who has recently come to Greenbrier County. After weeks of silence, riders come to the Heasters’ place to tell them that Zona has died. A month after the funeral, determined to get justice for her daughter, Mary Jane informs the county prosecutor that Zona’s ghost appeared to her, saying that she had been murdered. 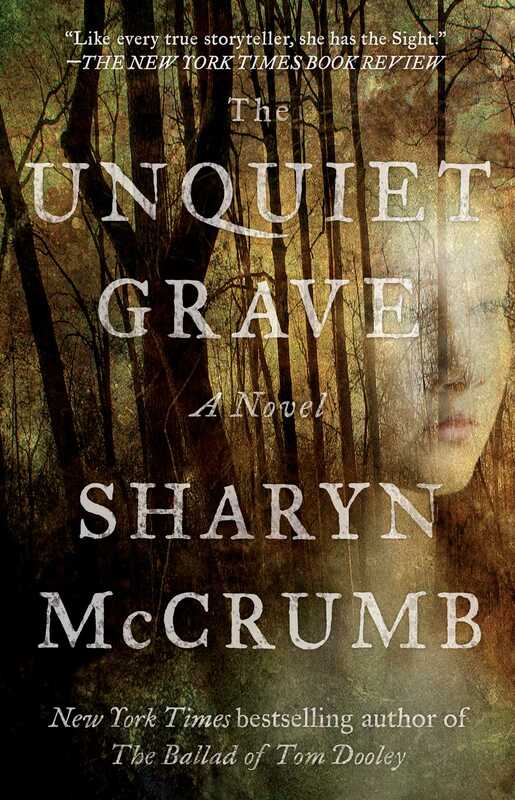 With its unique blend of masterful research and mesmerizing folklore illuminating the story’s fascinating and complex characters, The Unquiet Grave confirms Sharyn McCrumb’s place among the finest Southern writers at work today. THE PLACE WAS AS QUIET as it ever got in the hours around midnight, with only occasional screams or sobs from the cells down the corridor to disturb his contemplation. Somewhere, perhaps on another floor of the building, someone was singing. He was standing at the window, as he always did at that time of night, hands resting on the bars, his face pressed against the wire-reinforced glass, as if the cool night air could waft him away. Perhaps no one cared if he stood at the window after lights-out; there were a hundred patients and perhaps a dozen staff members who were busy enough without having to worry about a quiet man having a sleepless night. Anyhow, even if they did care, chances were that they wouldn’t see him. His dark face would not glow in the moonlight and give him away. He strained his eyes, searching the darkness beyond the treetops, hoping that the clouds would part enough to let him see the shapes of the dark cliffs across the river. That was Ohio, over there. In his parents’ day, back when this place was still part of Virginia, that side of the river would have meant freedom, but that had changed now. Now freedom—or the lack of it—was the same everywhere for ordinary people. And for madmen and criminals, there was no freedom at all. Since he had spent most of his life subscribing to, and even enforcing, that rule, it seemed churlish to object to it now, just because its strictures now applied to him. Those who are a danger to themselves or others must be restrained. He could never see the river itself—it was nearly a mile away, beyond the fields on the other side of the road. Except in the dead of winter, the trees blocked the view, and then the steep embankment obscured the water. At least he knew it was there, though: the broad, dark waters of the Ohio rolling on to the Mississippi and on to its freedom in the Gulf. He would like to have seen that confluence, followed it even, all the way to journey’s end. The puny little rivers where he came from, in the eastern part of West Virginia, weren’t a patch on this one; why, except in the spring floods, you could wade across most of them. What was the point of being here—so close—and not getting to see the river? What was the point of being here anyhow? It wasn’t as if they could help him. If he had been delusional, perhaps they could have led him back to reason, but he always thought that his problem was seeing the world too clearly. From somewhere down the hall a long scream pierced the stillness. One of the old men was either hallucinating horrors or remembering real parts of his past, perhaps as far back as slavery—it was hard to tell which was worse, because those who imagined them believed with equal fervor. At least he was spared all of that. He spent a long time at night with his face pressed close to the window, and when he finally fell into bed, he did not dream. He wished he could either become entirely sane or else very much more mad. A delusion that transported you right away from unpleasant realities would be more blessing than affliction, it seemed to him. Let him drift away on a current of madness into a dreamworld where he was young again, where his gentle Eliza or her successor, clever Alice, was still alive and well—or, better yet, some kingdom out of a fairy story, in which the world was entirely different from anything he’d ever known. Let there be talking horses, and penny candy stick trees, and golden rivers of bourbon. He sighed. None of those fantasies particularly appealed to him any more than the real world did just now. He had spent his life in the profession of law—not a discipline that encouraged its practitioners to be fanciful. He had always considered an excess of dignity and a dearth of imagination to be positive qualities in his character, but unless madness conferred its own artistic inspiration, his temperament made him ill-equipped to enjoy the benefits of delusion, and his lifelong habit of reserve would have held him back anyway. He was forever an observer, and one day he had decided that he had seen enough and wanted to leave. Yet here he was. His own particular form of insanity was to see the world exactly as it was, and to despair in silence. As he grew older, the truth, unvarnished by hope or illusion, made him desperate to escape life itself. But suicide was considered madness, rather than a shrewd appraisal of one’s options, and so here he was in this barred asylum, as desolate and bereft of choices as Shakespeare’s Ophelia, but prevented, both literally and metaphorically, from reaching the river. Odd that, while he could never see the river, there were other things that he did see sometimes in the night. A thing with glowing red eyes and leathery wings . . . Other patients had spoken of it, too, but while they had wild imaginations, unmoored from logic, he did not. Precisely because he saw things exactly as they were, he knew that whatever-it-was was real. Best not to speak of that, though. He couldn’t be bothered to try to convince the long-suffering staff of the asylum that this one particular delusion was not one at all. It didn’t matter really. The thing was doing no harm, except perhaps to make people who reported it seem madder than they actually were. It hadn’t taken him long to figure out that these people could not help him, even if they wanted to, and that the best course would be to learn the rules of the game that would set him free as quickly as possible. He had been learning the rules and playing the game all his life, so this was just one more battle of wits, not much different from the others. There were no white people here, but the game was pretty much the same: those in charge versus those who had no power at all. “Canst thou not minister to a mind diseased?” The mockery in Gardner’s voice was unmistakable. Sharyn McCrumb is the New York Times bestselling author of the acclaimed Ballad novels. She has received numerous honors for her work, including the Mary Frances Hobson Prize for Southern Literature, the AWA Book of the Year, and Notable Books in both The New York Times and LA Times. She was also named a Virginia Woman of History for Achievement in Literature. She lives and writes in Virginia’s Blue Ridge Mountains, fewer than one hundred miles from where her family settled in 1790. "In this compelling story, McCrumb continues to relate the dynamic tales of Appalachia and its people." "Woven with legend and carefully handcrafted as only McCrumb can accomplish. The Greenbrier Ghost has once again risen to claim its rightful place among America’s best ghost stories and the most rare—the ones that are actually true."